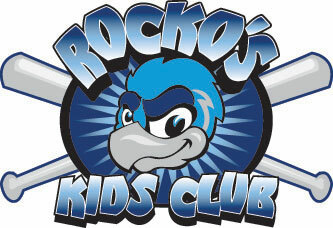 March 2, 2011 - LOVES PARK, Ill. – The newest hot-button topic at RockfordRiverHawks.com is the greatest third baseman in the history of Rockford’s only professional baseball team. Brad Dutton (2006-08) – The Australian hit .279 and drove in 101 runs in three years as a RiverHawk. In his final season as a RiverHawk, he hit .311 and high a .959 fielding percentage at the hot corner, the best in the Frontier League. Ben Fjelland (2002-04) – Fjelland is one of just four players with 300 hits in a Rockford uniform. Though he played his last game in Rockford’s 2004 pennant-clinching game at Marinelli Field, he is still among the leaders in several offensive categories. Fjelland was an all-star in ’02, when he hit .344. Matt Hagen (2007) – Though he played only one season with the RiverHawks, the multi-positional veteran was a key hitter on a playoff team. Hagen batted .335 with 13 home runs and 62 RBI. He tied a team record with a five-hit game against Kalamazoo. Ryan Larson (2004-05) – Larson took over as the regular at third with a month left in the 2004 title season. He had a .911 fielding percentage as the Rockford third baseman. Evan McArthur (2010-) – McArthur led the Northern League’s third basemen in double plays, with 26, and assists, with 63. He had a .953 fielding percentage, third in the circuit. Though considered a glove-first player, McArthur hit .286 with six home runs and 49 RBI. Lou Bachrodt Chevrolet of Rockford is Winnebago’s County’s premier Chevy dealer. Lou Bachrodt is located near Cherryvale Mall, just minutes from the stadium. Opening Night for the RiverHawks’ 10th season is 7:05 p.m. Thursday, May 26, when they host Schaumburg. Advertising and ticket information is available by calling (815) 885-2255. Fans can also visit www.rockfordriverhawks.com.